The average home accumulates around 40 lbs of dander, dust, dirt, mold spores, pollen, pet hair – maybe not just yours and your family’s but from possibly all the families prior! You work hard to keep your home clean, but with even the best of intentions and elbow grease, not everything mops up or vacuums up, and all that residual floating coating has to go somewhere, and that is usually down the vents. 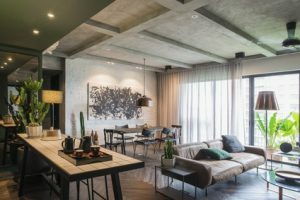 If you’re finding film over hard surfaces at the end of the day that you wiped off in the morning, it’s very likely that duct cleaning in your Newmarket home would be a very good idea to consider. Not just for your family, ensuring the vents are unblocked can make things easier not just on your furnace and your family, but your wallet; if the HVAC is working at peak efficiency, it will likely use less energy, and could save you money. Tis the season to be on the move? Whether you’re moving into a pre-owned home or new, cleaning the ducts is always a good idea. No one wants their kids to sneeze when the furnace comes on. Even new builds have drywall dust and other particulates that didn’t get swept up in the cleanup. Nor do you want any of that fine drywall silt on your lovely furnishings. In terms of a pre-owned home no one wants other people’s dirt and dander and pet hair creeping up from the registers. Consider having them cleaned as well prior to moving in. Professional carpet cleaning is also a great idea prior to movie-in. Not only to get rid of the mystery stains, ground in dirt and debris, but also any creepy crawly critters that are undetectable with the human eye. When was the last time the furnace was serviced? A well maintained furnace is important to your family’s safety, both for fire, potential gas or oil leaks and fresh air, and checking the air conditioner as well for critters and any issues with performance. Speaking of safety, the clothes dryer is one of the leading causes of fires in residential homes. Even if you are super diligent at removing the lint each load, it’s astounding over the years what can accumulate in the pipes to the outdoors. It’s also a great idea clean the dryer pipes as well while the Newmarket duct cleaning company is there. It’s always nice to know you and your family would be breathing easy right from the get go. You could save some money on reduced energy costs by having your house operating at peak efficiency as well. Could your office space, warehouse, retail establishment or church do with some commercial duct cleaning? Is there film on hard surfaces that is hard to keep clean even with a regular cleaning crew? Are your employees sniffling when the HVAC comes on? When was the last time the carpets had a thorough professional cleaning? Are there coffee stains that just won’t come out? Or better yet, the mystery stain everyone guesses about as they step over it? Even if your clients don’t visit the office it’s better for moral and the health and safety committee, which may increase performance and the bottom line. Do you have multiple sites, condos, high rises or rental properties that have clothes dryers (whether you know it or not)? Regular maintenance on the vents in any capacity can help with safety standards, the condo boards, and their bottom line. It’s a win win for everyone, including the tenants. Are you losing money on HVAC performance? Consider having your HVAC maintained on all your commercial properties, to help save on energy costs and keep the bottom line in check. We have multiple technicians and a generous service area all across southern Ontario to handle multiple commercial facilities all at once. No need to hassle with lots of commercial duct cleaning companies and take up your valuable time to project manage cleaning for all of your properties – just one call will solve it all – let us handle the logistics for multiple properties for you, and let you get back to what you do best. Canaduct Newmarket duct cleaning is your source for duct cleaning in Newmarket. 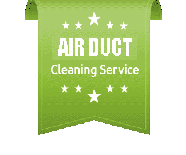 We perform duct and furnace cleaning, residential air duct cleaning and dryer cleaning. We also perform commercial air duct cleaning. Our 8 Point Duct Cleaning Inspection ensures that your heating and cooling systems circulate clean air and operate at peak efficiency. We remove dust mites, mold, pollen, pet dander and other allergens, allowing you to breathe clean healthy air, and save money on energy costs. You will sleep better at night, and be more alert and productive during the day. Let Canaduct Duct Cleaning perform all your air duct cleaning in Newmarket, East Gwillimbury, Stouffville, Queensville and surrounding area.